Pastel murals lined the sidewalks outside Crown Center last weekend, for Kansas City’s 11th annual Chalk & Walk Festival. 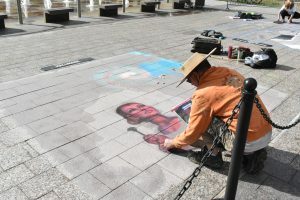 The two-day festival officially describes itself as a “multicultural, community-wide celebration of the arts.” Local artists contribute to the pastel chalk murals on the sidewalks. The festival is a free and unique way for children and adults alike to embrace art. 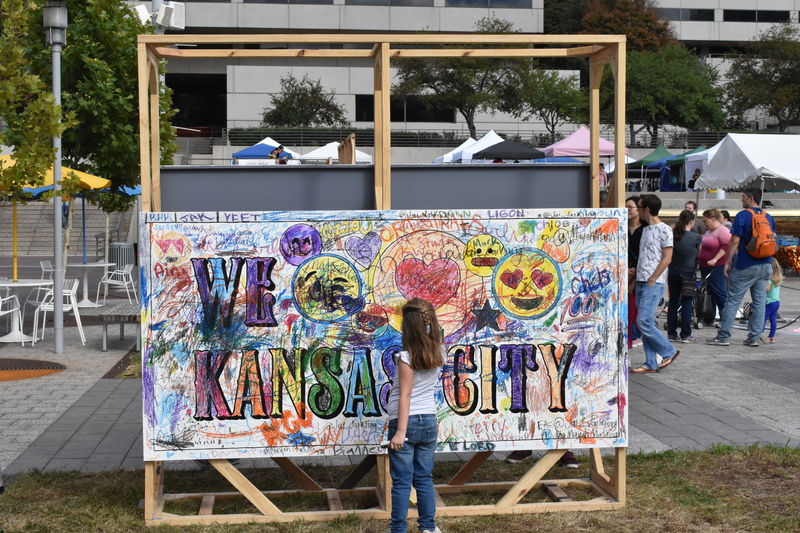 Attendees witness the artists’ creative process as they work on murals throughout the festival weekend, eventually making them come to life. Food trucks, canvas paintings, interactive crayon murals and live music were also present for festival attendees to enjoy. Some local artists were professional and sponsored by business partners while others were students and amateurs, all were invited to apply to showcase their art. This year’s chalk murals had a recurring theme of animals, flowers and eco-friendly messages. One artist’s work featured polar bears under melting ice caps with the message “S.O.S.” written in the sand. Other artists painted on large-scale canvases for festival goers to view. Attendees were encouraged to snap a selfie as the artists’ paintings progressed throughout the day. In addition to the Chalk & Walk Festival, the Strawberry Swing Indie Craft Fair also took place at Crown Center Square. 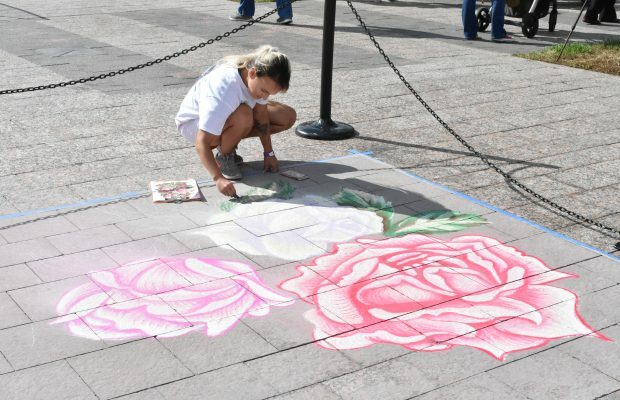 The festivals partnered together to provide a weekend of chalk murals and artisan goods to the city. Tents for the indie craft fair were placed adjacent to the Chalk & Walk festivities. Handmade items were available to purchase from 50 local artists.